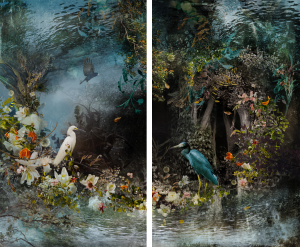 Artist Ysbel LeMay’s collage composites draw the viewer into her ethereal kingdom. 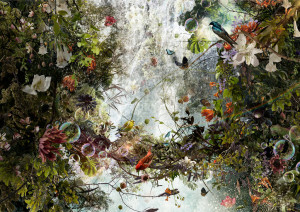 Created using hundreds of individual photographs merged into one, the Canadian-born artist constructs her images piece by piece until she is happy with the final fusions. The resulting hypnotic composites weave fragments of plants, animals, and elements into “panoramas of natural splendour” that take cues from the real world but are ultimately something much more mystical. Born and raised in Quebec, Canada, LeMay held a career in the advertising world for 15 years, where she honed her visual talents in graphic design and art direction. Unsatisfied with this lifestyle, she shifted her focus to the more rewarding world of art and photography. 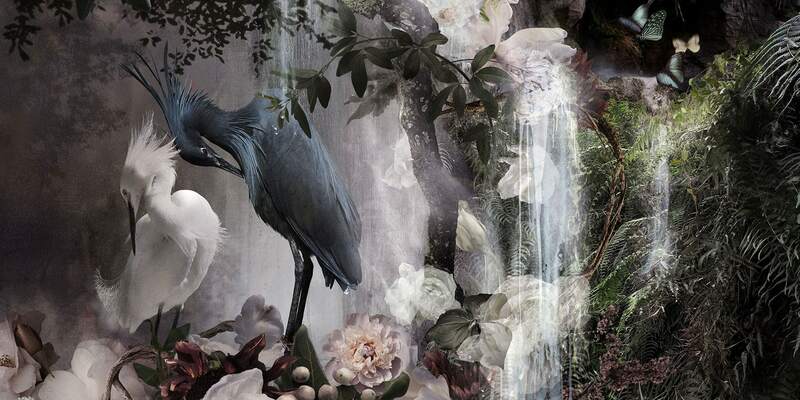 LeMay now prioritizes creating her hypercollages, the background in visuals providing her an understanding of color arrangements and harmony that she is able to incorporate into her spellbinding images. 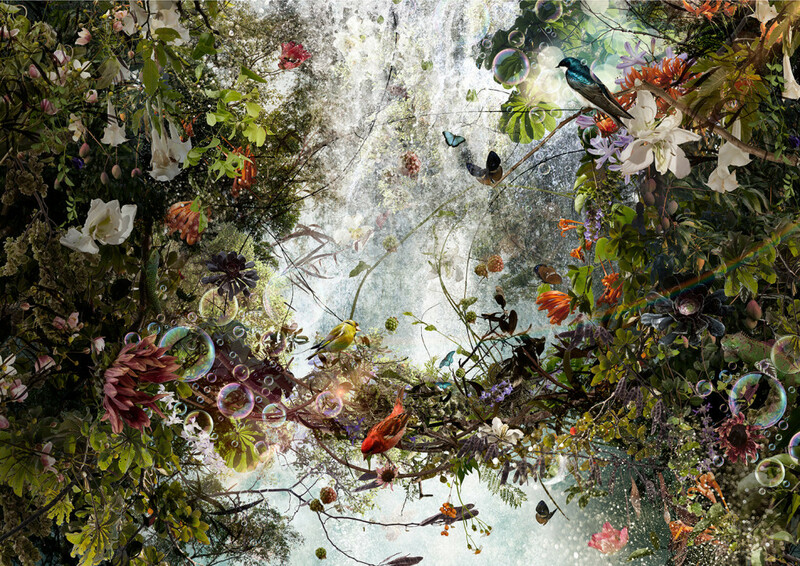 A tribute to Nature, each photograph tells a unique story of cohesive elements combined into one. With a distinctly creative eye, LeMay meticulously blends hundreds of shapes and colors to form snapshots of an otherworldly paradise.